Every website owner has to be prudent and aware of SEO techniques or trends to be visible in the front rows of a relevant search. Popular search engines like Google are introducing new parameters to index websites every day so that all credible and authentic websites are searchable by their bots and displayed accordingly to their level of relevance. Content that is informative: Content of your website needs to be accurate and informative. It should justify the central theme of your website. The message or purpose of your website should be loud and clear. Focus more on the landing page in this context. Within a couple of lines of text or a video, the viewers should be able to tell who you are. Your home page should contain facts and figures about your business like what kind of deals are your company interested in, how many years you are in business, customer reviews, what is unique about your company, how to contact your customer care and other necessary details. Accuracy and details will guarantee your authenticity. This in turn helps to improve your rank among the thousands of search results. Edit or Add on a regular basis: This means that to stay strong in the competition you simply need to modify or upgrade your old content. This will assure the search engine that your website is not dead and you are still in business. Adding fresh content to your website is better than only making small or less noticeable changes to your web page. In fact, some SEO gurus suggest that adding fresh content on a weekly basis is more than necessary to remain in this competition. Presence in a social media: Social media are no longer used only to say hello to your friend. It is a very stable business platform. Business and celebrities all make sure that they have a web page in popular social media like Facebook, Twitter. To be present and active in a social media platform is very necessary to get noticed by the search engines. However, for an effective SEO, mere presence in a social media platform will not be enough. Posting updates and opening threads for discussion will be required on a regular basis. You can post updates about your company, new arrivals, offers and deals which will attract contacts fetching you positive leads. Site navigation should be made user friendly: Your customers or visitors should never be discouraged with a difficult site navigation techniques. All the operations or visitor interfaces should be classified properly. It is important to make them easy to understand. Each of your tabs should contain unique content. No heading should be misleading. Minimalist is the idea for easy site navigation. 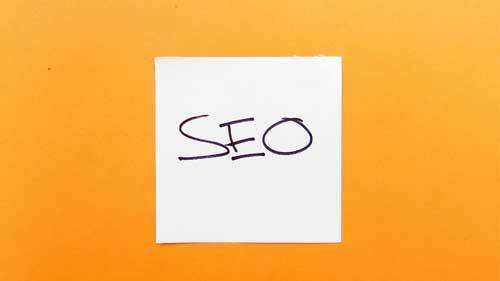 This will increase popularity of your website helping you to build an effective SEO. Does your online business or blog need more visitors? Find out how to get free website visitors at 10KHits!